"I found that I could say things with color and shapes that I couldn't say any other way - - things I had no words for". 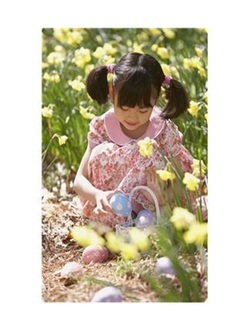 One of the great celebrations of spring is having the opportunity to dye Easter eggs. Here are two videos of extra-special patterns you can make using basic supplies like rubber bands and cooking oil to add more detailed pattern to your eggs. The rubber bands can be used to make linear (line) patterns and the marbeling technique can be used to make organic (naturally made) patterns. Just remember...never try to dye eggs (or anything else) without your parents' permission and without having them there to watch over you and to help you. We will be dyeing eggs in class one day also, so you can learn how to dye things different colors, just as we learned in the story, Anna's Coat.